FaceApp is one of the best entertaining app available on Google Play Store. You can’t get bored with FaceApp as it gives you all the new ways to amuse. With FaceApp, you can add a beautiful smile to your face or make yourself look older or younger. With wide range of amazing filters, you’re all set to give your selfies a new definition. The funniest part of FaceApp is that you can even change you gender and see how it would look on your face. If you’ve been using the boring weather apps on your phone, it’s time to bring in some fun. With What Thce Forecast, it explains how nasty it is outside or whether you should go to work or enjoy at your home. With US and international units of forecast to seven days advanced forecast, it has almost everything you may be looking for. You may have become old but there’s no age to watch your favorite cartoon, especially when you can watch it on the go with Android. With Boomerang subscription service, you can watch any classic and new cartoons on your Android anytime. You can even watch on demand cartoons without the need of paying the hefty TV subscription. You can try Boomerang for free and subscribe later. TopBuzz Video is a popular app that saves you a lot of time and labour and keeps you up to date with latest trending videos. You can watch the videos from various categories at one single location. TopBuzz Video also lets you watch the latest GIFs that are trending and have gone viral. Chat Fiction: Yarn is one of the best application available on Google Play Store that sets up a unique atmosphere where you find yourself amid fictitious stories. Yarn puts you in between a conversation and you read it without being guilty. These fictitious conversations are the new ways to tell stories, which may be romantic, horror or any genre you like. 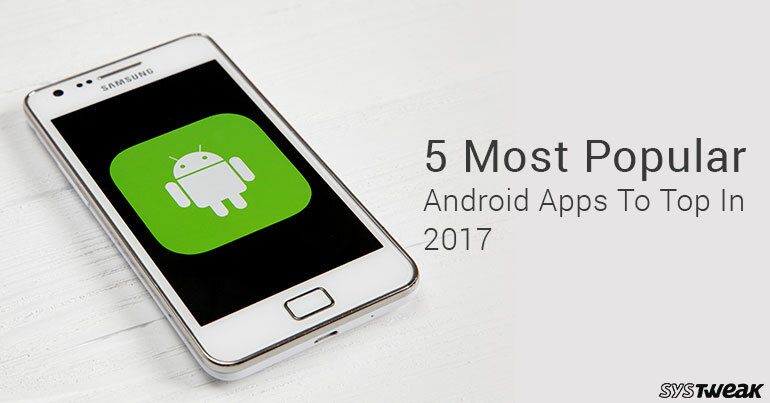 Now that you’ve the list of the most popular Android apps on Google Play Store, it’s time that you try your hands on them. These apps made their way to be the top five popular apps and got the maximum downloads. If you’re feeling lonely and bored, make the most of these apps and entertain yourself according to your field of interest.